Ambulance crews are being hit with fines for using empty bus lanes, says UNISON today (Wednesday). Many UK cities are banning ambulances from public transport lanes when it’s not a 999 emergency, according to the union. 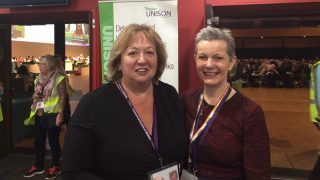 Many ambulance drivers, who use the lanes to avoid traffic and speed up journeys for patients needing vital care, have received penalties, delegates attending UNISON’s annual health conference in Bournemouth heard. 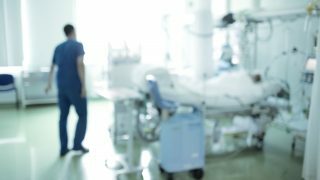 Patients who are in discomfort or need vital treatment such as dialysis could end up stuck in traffic congestion if the fines continue, says UNISON. The clampdown also puts further pressure on the NHS as people miss appointments because the ambulance they’re travelling in is caught in city centre gridlock. This lack of consistency can cause confusion for crews moving between areas, says UNISON. Some councils have dropped fines following appeals. However, drivers’ time is then wasted on paperwork, which could be better used responding to calls, says UNISON. 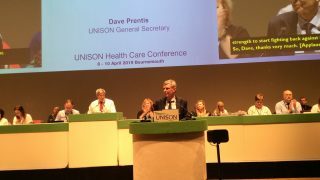 UNISON North West Ambulance Service branch secretary Jeff Gorman,said fines are a widespread problem across Greater Manchester and are rarely waived. 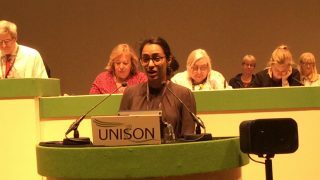 UNISON is calling for bus routes nationwide to be available for ambulances at all times and campaigning for councils to drop restrictions. – In some cities, ambulances can only use bus lanes when their blue lights and sirens are on to signify a patient with a life-threatening condition is on board. These emergency signals give an exemption from normal traffic legislation. However, there can be serious consequences if an accident occurs and the decision to ‘blue light’ cannot later be justified. – Some vehicles aren’t fitted with blue lights and sirens but are transporting people for dialysis, cancer treatment, urgent blood tests or other life-saving procedures.